Every Saturday at 12 noon - 12.30, with refreshments available after each concert. Just 20 minutes by train from the centre of London! In 2018, 52 concerts were given by a total of 30 individual performers, 17 of which were male and 13 female. There were 6 choirs and 1quartet of Saxophones425 pieces of music were played to a total audience of 2207 raising £4,933 for Church funds. We thank you for your support and look forward to it continuing in 2019. 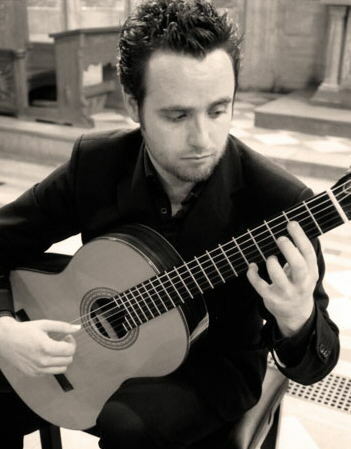 Saturday lunchtime concerts at St. Mary's in memory of John. In 2010 the name of Joe Miserendino was added as a tribute to a wonderful composer/friend of these concerts. The C.D. of recordings live from St. Mary's. Track 1; England’s Glory, Nigel Ogden, Malcolm Stowell, organ. Track 2; Danse, Claude Debussy, In memoriam, John Burrows (d. 14/11/2002) piano. Track 3; Bird Song at Eventide, music by Eric Coates, lyrics by Roydon Barrie, Roger Lyon, bass, with Malcolm Stowell, piano. Track 4; Aka Tombo (Red Dragonfly), Kosaku Yamada, arranged by Philip Kim, Charley Brighton and Malcolm Stowell, piano. Track 5; Intermezzo (Forget-Me-Not), Allan Macbeth arranged by Alfred J. Eyre, Ian Stewart, organ. Track 6; The Girl With The Flaxen Hair, Debussy, The Windsor Festive Brass Quintet. Track 9; All In The April Evening, Hugh Roberton, The Capriciosso Low Brass Quartet. Track 10; Trumpet Voluntary, Gordon Young, Louise Willis, organ. Track 11; Organ duet; Fugue in D minor, Johann Kellner, played by Malcolm Stowell & Louise Willis. Track 12; Gratias Ago, Guy Bunce, Louise Taylor, flute and Guy Bunce, piano. Track 13; Meditation, Frank Bridge, Mark Robbins, violin, with Guy Bunce, piano. Track 14; Elsa’s Procession To The Cathedral, from Lohengrin, Richard Wagner, The Celebration Brass Ensemble & Malcolm Stowell, organ. Programme compiled by Malcolm Stowell.Recorded and mastered by Charley Brighton & Mark Robbins. For orders, Email us here. The Rutgers University Chorus from Newark, New Jersey, U.S.A.
with their conductor John Floreen visted St. Mary's for a wonderful concert. Celebration Brass commenced the proceedings with Fantasia by John Wilbye, as a double brass choir at opposite ends of St. Mary's Church. Charley Brighton was the featured euphonium soloist with Malcolm Stowell on piano, in two numbers from West Side Story, Maria & Tonight. 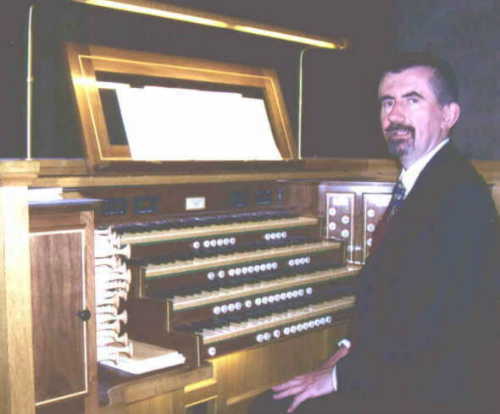 Organ recitals were given by Malcolm Stowell, Louise Willis and Brenda Arnold Day (U.S.A.). Brass and choir closed the first half of the concert in special arrangement of Elsa's Procession to the Minster, from Lohengrin, by Wagner. The finale to the concert was the combined forces of band, choir & organ in Gerre Hancock's Song to the Lamb and Vaughan Williams Old Hundredth, conducted by John Floreen. The featured brass players were; Soprano cornet, Robin Lock, Flugel Horns, Eileen Lock & Shirley Drake, Baritones, Susan Vel & Kate Thulborn, Euphonium, Andrew Barratt & Tuba, David Elliott-Smith. 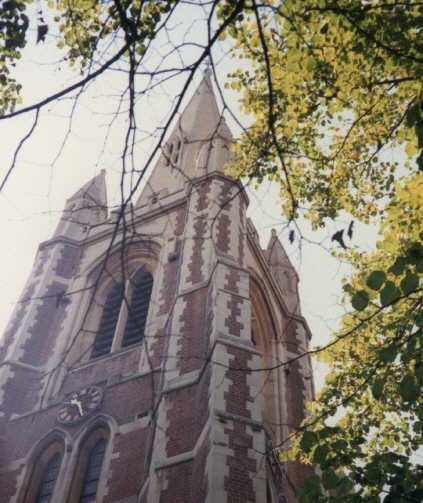 In January 1990, Malcolm Stowell (Chairman of the Windsor & District Organists' Association and Organist & Choirmaster at St. Mary's Parish Church), founded the popular series of lunchtime concerts. Malcolm Stowell at the controls of the mighty instrument of Christchurch Priory. 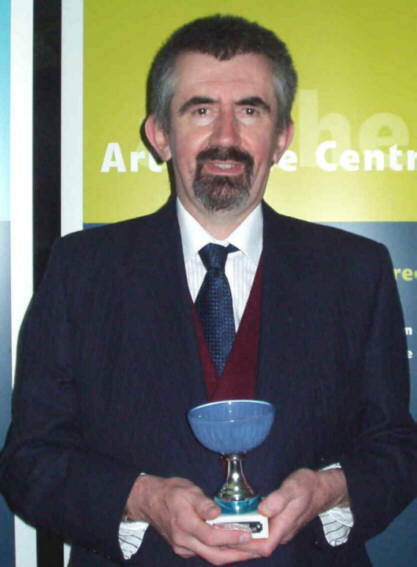 Over the years, he has established a close relationship with local artists and produced a thriving programme of weekly Saturday recitals. These live events take an informal, enlightening and, above all, entertaining approach to music making. 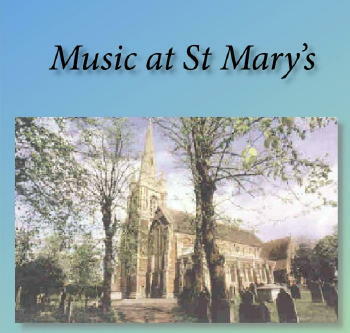 Concerts are held every Saturday in St. Mary's Parish Church at 12 noon and usually last about 35 minutes. The concerts are free of charge, although we are always grateful for donations towards refreshments or Church funds. Artists can undertake an entire programme or just one or two items. Either way, recitals can be designed to suit a performer's repertoire. Malcolm is always delighted to discuss a musician's particular area of interest and build an entertaining programme that meets everyone's needs. Interested ? A few bookings are still available. Call Malcolm Stowell on 01628 660651. On Thursday, April 29th. 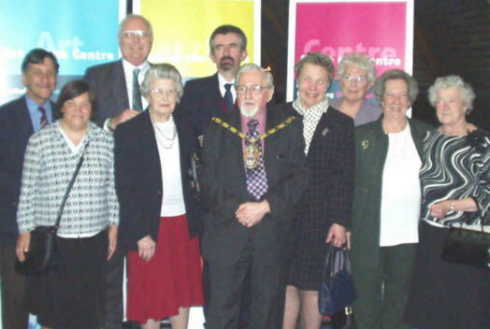 2005 at a ceremony held at the Thames Valley University, Slough, Mayor Laurie Gleeson presented the 2004 Arts Award to Malcolm in recognition of his services to music in Slough. Members of St. Mary's were present at the awards ceremony as well. 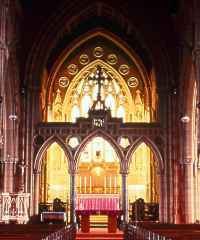 The present organ in St. Mary's is situated in the north transept, and was built in 1912 by Norman & Beard Ltd. 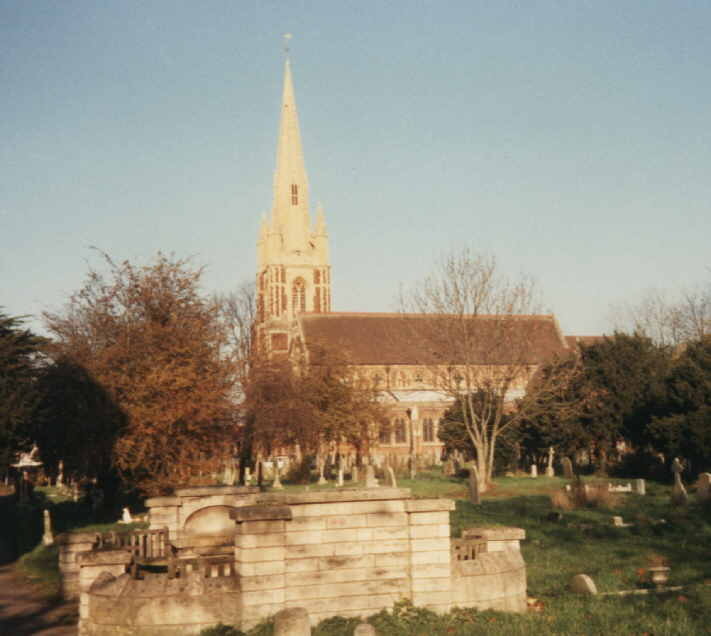 The specification was drawn up by Sir Walter Parratt (then organist of St. George's Chapel, Windsor), who gave the opening recital. The organ was paid for by James Elliman, who regarded it as his " particular gift to the Parish Church ". The organ has 3 manuals and pedals. The action is Tubular Pneumatic throughout. The Thumb Pistons are also controlled by Tubular Pneumatic Action, but the Foot Pistons are Exhaust Pneumatic Action. An unusual feature of this organ is that the key transmission has a charge action as opposed to exhaust action, which is very rare for organs built by this firm. The organ has 37 speaking stops and 9 couplers, and has over 2400 speaking pipes ranging in size from 16 feet to 1/4 inch speaking length. In 1968 the organ was taken down and extensively cleaned, with some re - leathering to the action and stop mechanism. Some tonal revisions were made at this time. The Swell 6 rank and Great 4 rank composition mixtures were revised. Two new stops were added to the Choir Organ, Nazard and Tierce, in place of the Dulciana and Open Diapason. The Swell reeds and Open Diapason are on high pressure. The flue chorus to the Great, like the rest of the organ, is brightly voiced, the flutes to the Swell and Great being round in timbre. 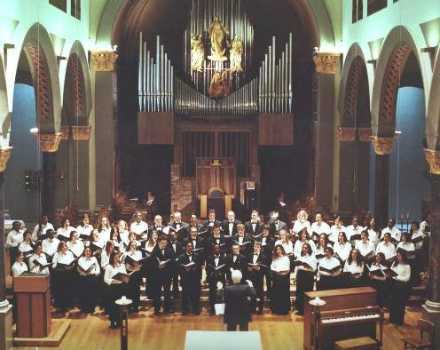 The Choir flutes and mutations are bright in texture and essential to modern - day repertoire. The Swell reeds are superbly voiced and are one of the most striking features of the organ, matching in quality the William Hill organ in Eton College Chapel. The Pedal Organ lacks upper work but has a powerful Violone, Ophicleide, Open Diapason and Octave which contrast with the soft Flute and Bordun, blending well with single strings or sustaining a semi - flue chorus to manuals. The pitch is "French Diapason Normal", being slightly lower than the present day concert pitch. During the past few years more re- leathering work has taken place, with further work necessary to keep the organ up to standard. A new 3 - phase electric blower was installed in 1985, owing to the original single - phase blower being unable to sustain power to the full organ. This organ is a splendid example of the English "Romantic" style of building and it can cope with any period of the organ repertoire, being a fine instrument for both accompaniment and concert performances. 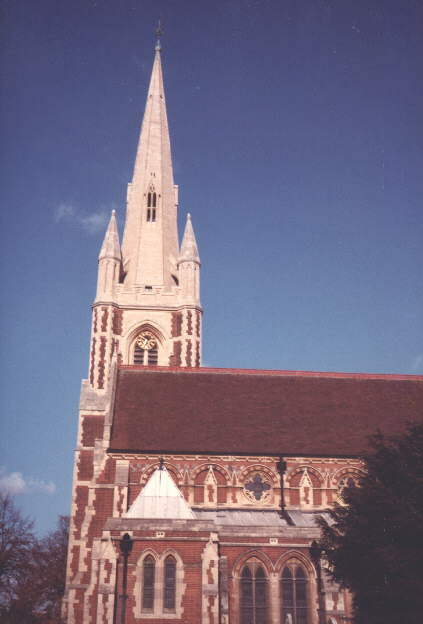 St. Mary's Parish Church. Commenced 1875 - completed 1913. The West Window, 1915. Designed by Alfred A. Wolmark, given by Mary Elliman. 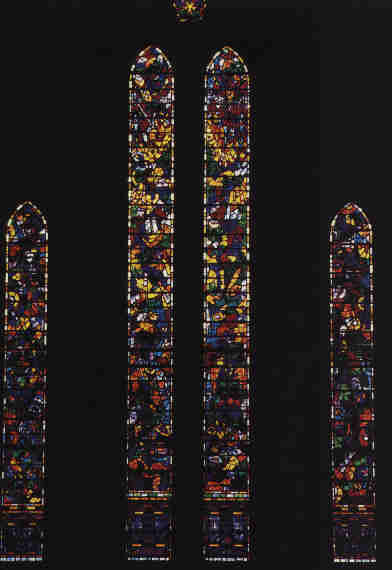 The first abstract church window in the country.